Home Studios Inc. – two premier event spaces perfect for film and photo shoots, corporate and culinary events, private parties and elegant weddings. With over 10 years of experience we can provide a perfect venue for any event you can imagine, including fashion shows, product launches and celebrity chef demonstrations. Contact us anytime to set up an appointment to see our stunning spaces. 4000 Sq. 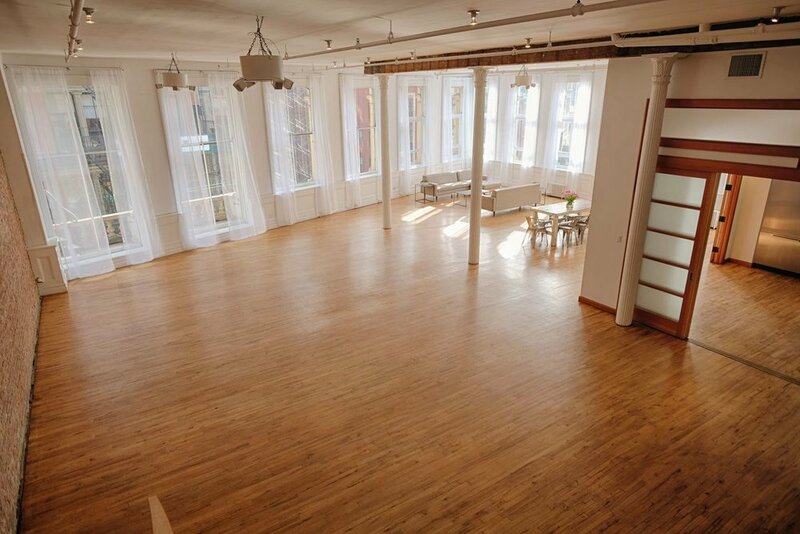 Ft. Daylight Studio with 14-foot ceilings, 16 east and south facing windows, and 2 working kitchens. 3000 Sq. Ft. Daylight Studio with 13-foot ceilings, rolling barn doors, and a working kitchen. Beautiful rooftop views of historic Union Square.